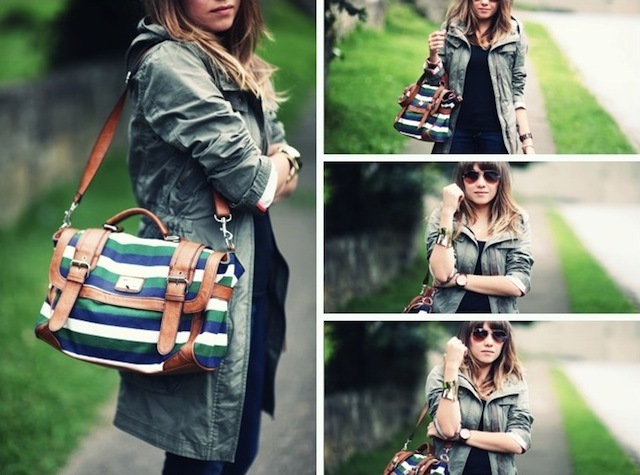 I absolutely love parkas, I think that they are really comfy and chic! Today Im wearing one of my favs with these shoes from Aldo, I actually like the mix between green and brown in this outfit, What do you think? Definitivamente amo las parkas, creo que son muy comodas y con estilo, hoy estoy usando una de mis favoritas con estos zapatos de Aldo, Me gusta realmente la mezcla entre verde y marron en este outfit, Que opinan ustedes? You look amazing. LOVE this parka!! quiero una asi, son super combinables!! La Parka y los zapatos mis preferidos! I don't usually love green and brown together, but I fancy it on this outfit! new DIY PROJECT on my blog! q mona. m encanta como t quedan esos pantalones. siempre te lo he dicho me encanta como levas las parkas!! I love your parka, shoes and bag! Just stumbled on your blog. I love everything about this outfit - casual yet you look so put together! Love those color blocked wedges from Aldo! your shoes are just perfect!! I seriously love this look and I love even more that all the pieces came from stores I love to shop in! El look me gusta, los zapatos son super originales! Juli estan divinos los zapatos! I like your bag!! Great blog, I am now following. 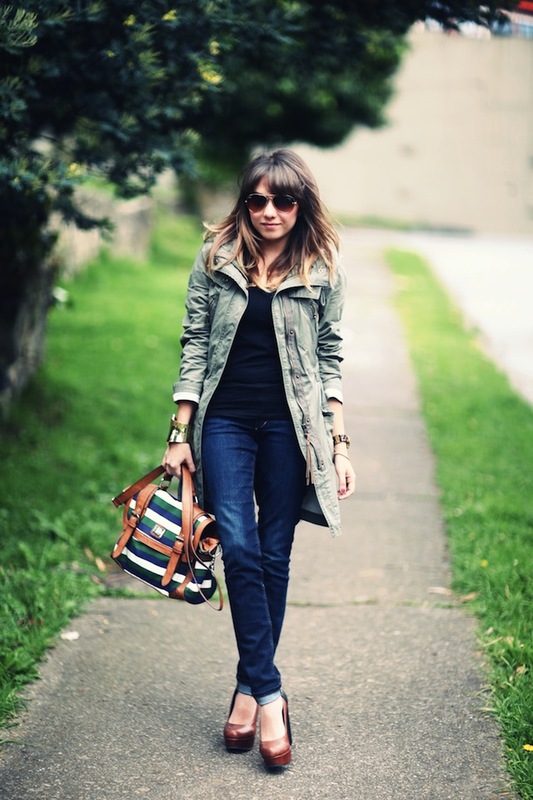 love the hunter green jacket! Love this outfit - it's exactly the kind of thing I would wear. Not too fussy but still looks stylish! AMAZING! LOVELY AND LOVE YOUR BLOG! FOLLOW YOU!! great look, love your bag and shoes!